SIMON ARMITAGE, one of England's leading and most popular poets, will read from his work at this year's Cúirt International Festival of Literature, which takes place from Sunday April 23 to Sunday 30. 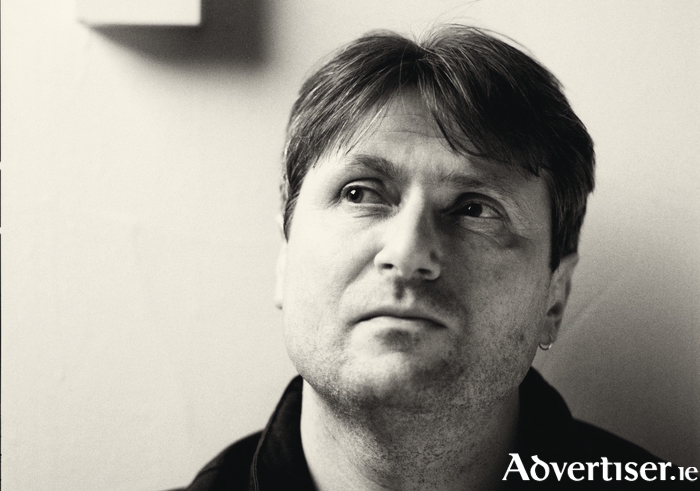 From Huddersfield in West Yorkshire, Simon Armitage is an award-winning poet, playwright, novelist, lyricist, broadcaster, and professor of poetry at the University of Sheffield. He is the author of almost a dozen collections of poetry, while his next collection, The Unaccompanied, will be out in March. He has also published two novels and three best-selling non-fiction titles - All Points North, Walking Home, and Walking Away. Armitage’s writing for television and radio includes the BAFTA-winning film Feltham Sings for which he received a prestigious Ivor Novello Award for song-writing. His translations of medieval verse include his acclaimed Sir Gawain and the Green Knight - for which he also created an excellent documentary for the BBC - and his recent translation of 'Pearl'. He was awarded a CBE in 2010 for services to poetry. Terrance Hayes is the author of five books of poetry, including How to Be Drawn (2015 ); Lighthead (2010 ), winner of the 2010 National Book Award in Poetry; Wind in a Box, winner of a Pushcart Prize; Hip Logic, winner of the National Poetry Series; and Muscular Music, winner of both the Whiting Writers Award and the Kate Tufts Discovery Award. He has been a recipient of many other honours including a 2014 MacArthur Foundation Genius Award. His poems have appeared in The New Yorker, The American Poetry Review, Harvard Review, and Poetry. "Simon Armitage is simultaneously a cornerstone of British poetry and a champion of poetry as a form of dissent," said festival manager Tara O'Connor. "Terrance Hayes is a major player in American poetry that explores the tension between the personal and political. We are very excited to see these two leading contemporary poets share a stage in Galway this April, and Terrance and Simon are both looking forward to reading for Galway’s famed literary audience." Simon Armitage and Terrance Hayes read at the Town Hall Theatre on Saturday April 29 at 8.30pm. Tickets are on sale at www.tht.ie and via 091 - 569777.